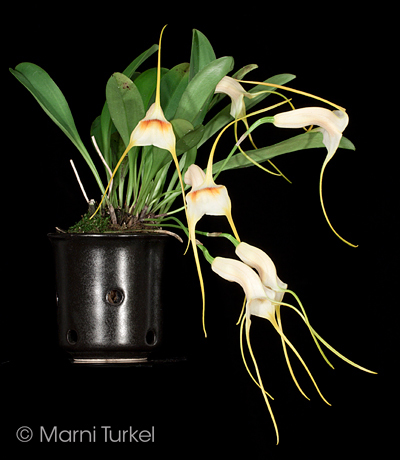 Masdevallia rex outcross #1659 ('1476' x 'Maui Titan' CHM/AOS) (approximately 25 seedlings per flask). 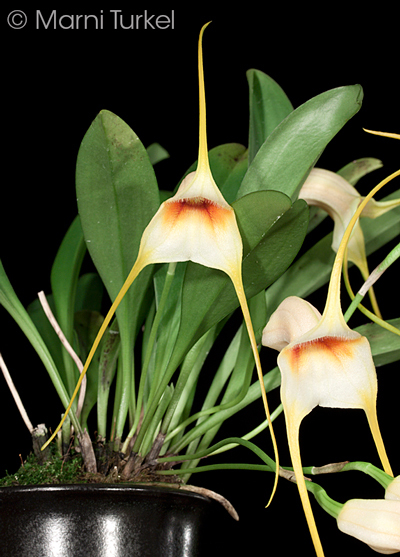 The Species: It grows in Ecuador at relatively low elevations from 2000 to 3100 feet as an epiphyte. 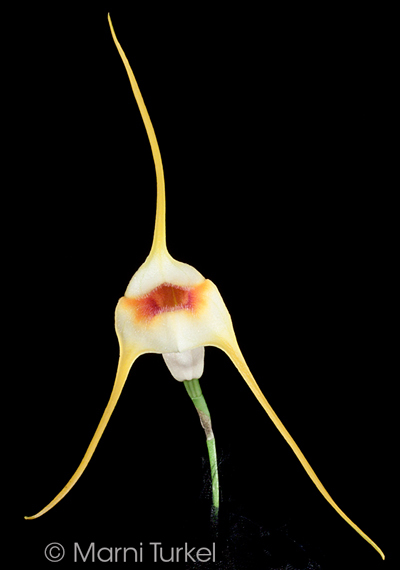 It is a free flowering species with surprisingly large flowers (5.5" from tip to tip). The blooming plant images are of the parents. Culture: It is a warm to intermediate grower that requires year round moisture, moderate light and good quality water. I am currently fertilizing at every watering at the rate of 1/4 teaspoon per gallon and a bit lower strength in winter. I grow it in either fine bark mix or moss in a net pot. It strugglesfor me with 56F minimum nights and does much better in warmer temperatures.